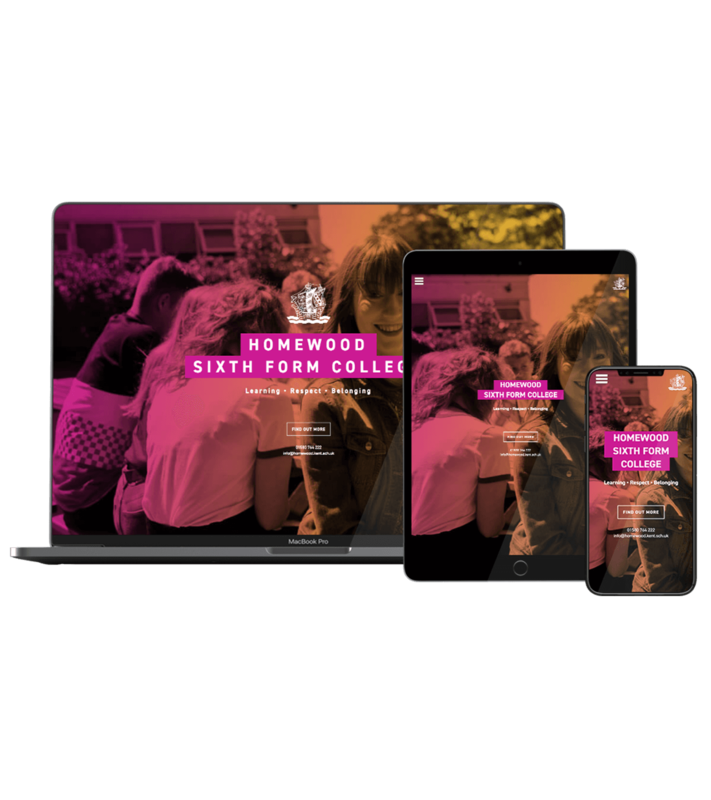 Following the completion of the Homewood school prospectus and website, we were asked to design and develop a separate website and prospectus for the Sixth Form College. 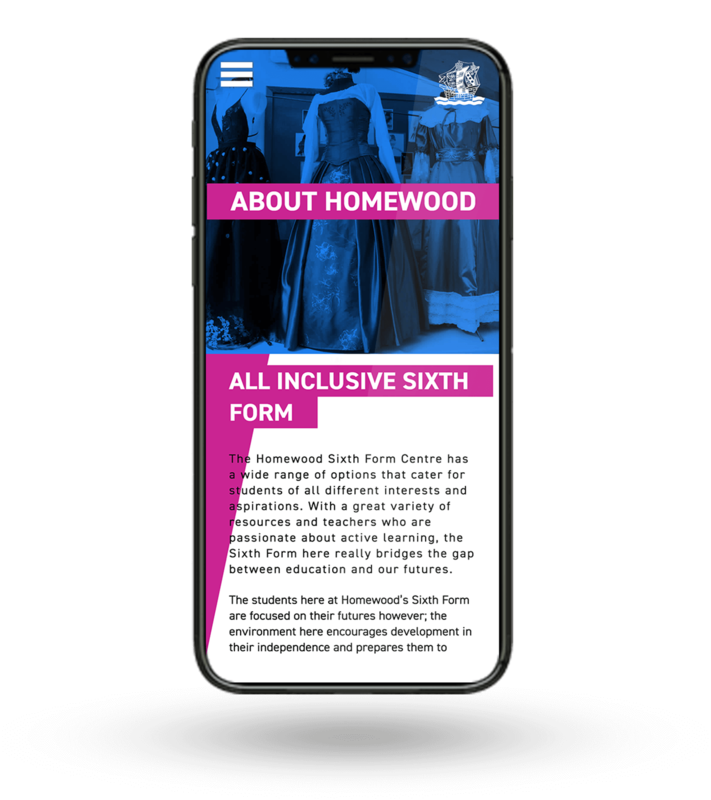 Designed to appeal to decision making year 11 students. A different focus was required here. The audience is primarily year 11 students looking for the next stage of their education. 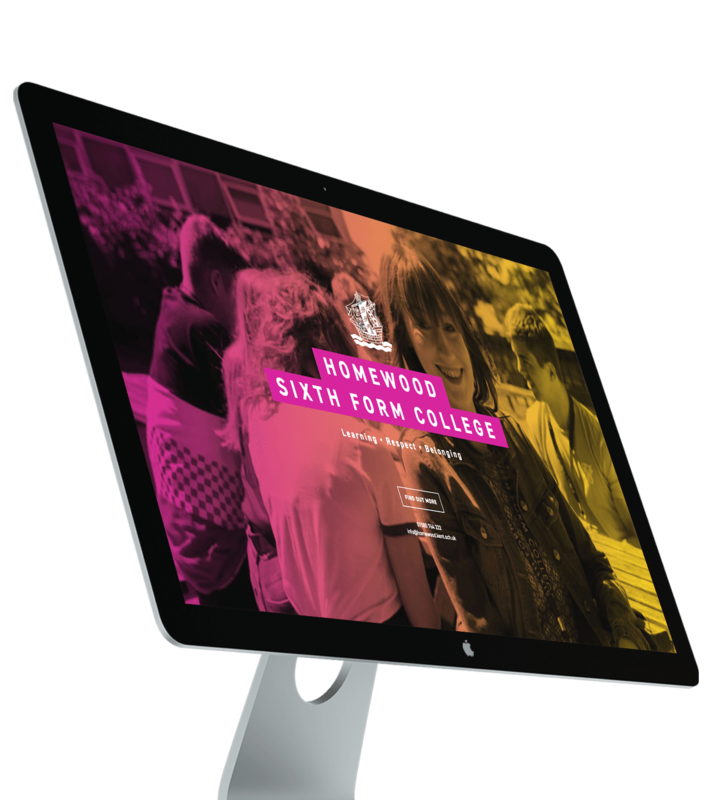 Gulp created a contemporary look and feel with an enhanced colour palette based on the Homewood School collateral. A new photoshoot allowed us to deliver a slightly more grown up focus on equipment featuring existing students and their work. 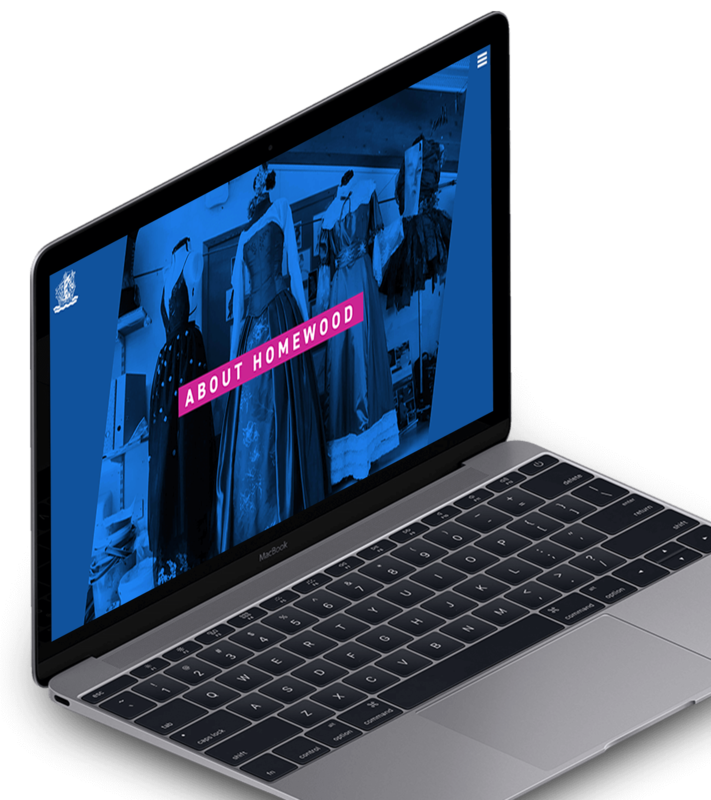 This combined with the new palette and typographic treatment delivered a responsive website with content management to appeal to the next wave of students. 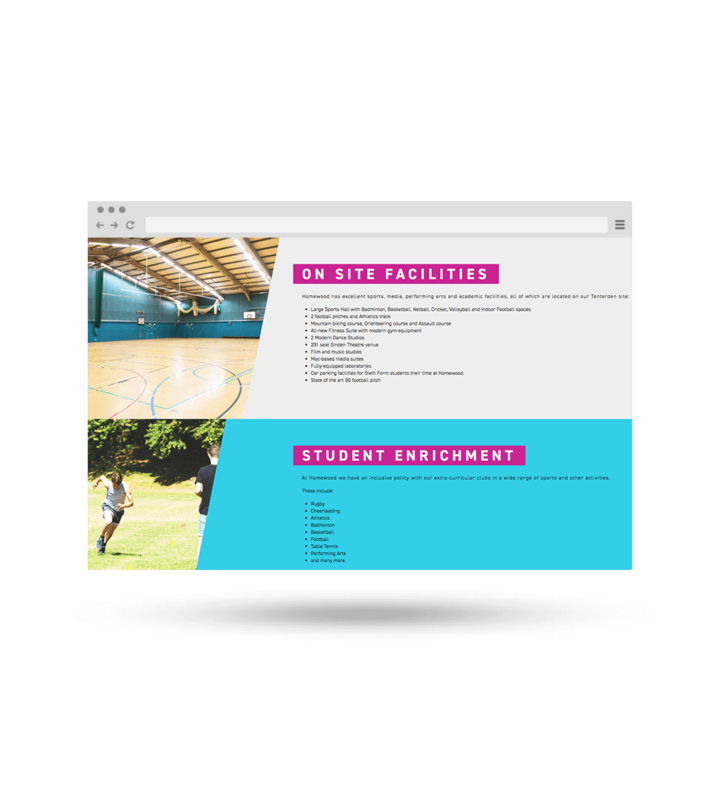 Delivered in a clear focused layout.